Getting a good night's sleep in important, but if your bed or mattress isn't comfortable, this can be difficult. An uncomfortable mattress can cause more problem than just sleep deprivation. It can also cause muscle pain, irritability and back problems. To avoid these problems, you may want to purchase the best 12-inch memory foam mattress available. Here are some tips for choosing the right one. Many people don’t realize that their mattresses are the reason they are experiencing sleep problems. If you are trying to determine if you need to buy a new mattress, there are a few things you should consider. Do you experience back pain when you wake up that goes away after a few minutes of stretching? Do you have a hard time finding a comfortable sleep position when you go to bed? Do you toss and turn at night while trying to get comfortable? Do you wake up feeling tired or suffer from a lack of sleep? Does your back hurt as soon as you lie down in your bed? If you are suffering from any of these problems, it could be time to buy a new mattress. It is important to take your time when choosing a new mattress and ensure that you get one that will help you sleep better. Everyone has a difference preference when it comes to how firm they want their mattress. Some people prefer a soft mattress and others like a firmer one. The firmness of your mattress can have a big effect on how well you sleep and how you feel when you wake up. It is important to find a mattress that falls right in the middle and is not soft or too firm. A mattress that is too firm can push on your body's pressure points, causing discomfort and even misalignment. This can cause you to toss and turn at night to find relief and to wake up feeling sore and tired. A mattress that is too soft can fail to support your spine and neck as well as your main pressure points, allowing your body to fall loose and limp. This can lead to muscle soreness and weakness. Memory foam mattresses are a great way to find relief and to avoid problems associated with traditional types of mattresses. Memory foam mattresses contour to fit the shape of your body. This allows the mattress to support your body’s main pressure points perfectly, providing just the right amount of pressure while still allowing your body to relax during sleep. A more comfortable mattress leads to a deeper sleep and allows you to stay asleep longer. This also allows your body to adjust to sleep cycles, so you fall asleep easier and wake up easier and feel refreshed. Memory foam mattresses are also hypoallergenic and resistant to bugs and dust mites, helping you avoid infestations and sleep disturbances. It can be hard to choose the right 12-inch memory foam mattress, but if you want to get the best sleep possible, it is something that must be done. If you are ready to buy a new mattress but you are having a hard time deciding which one is right for you, consider these tips. Try the mattress out by lying in your favorite sleep position to see how it feels. Consider the suggestions of your family members and friends. Ask a doctor or chiropractor to recommend the best brand. Try different brands, styles, thicknesses and materials to see which one you prefer. Take your time with your decision and compare each option carefully. Don’t be afraid to ask questions. A salesperson can help answer them. Read mattress reviews online to see how other customers feel about each one. A 12 Inch memory foam mattress may be able to reduce discomfort and help you sleep better, but like most things in life, there are both pros and cons to using these products. Quality- Memory foam mattresses are often made better and last longer than traditional mattresses. Warranties - Many memory foam brands offer warranties that just can't be beaten. Noise And Motion Isolation - Memory foam mattresses absorb sound and do not transfer motion as easily as traditional mattresses. Heat Retention - Memory foam mattresses can retain more heat than traditional mattresses. Cost - Memory foam mattresses can be more expensive than traditional mattresses, costing several thousands of dollars. Density - It can sometimes be hard to determine the density of a memory foam mattress and many advertisements do not mention the density. This mattress quickly fills out to its full shape when opened from packaging and is a great combination of firm and soft. The 12-inch depth allows for firmness while the three inches of padding on top of the mattress makes it soft and comfortable, creating a medium firmness. By supporting your body and contouring to fit your shape, this memory foam mattress will have you sleeping like a baby and waking fully rested and refreshed. Offering comfort and support at an affordable price, this mattress is a good option for anyone purchasing their first 12-inch memory foam mattress. This mattress offer two layers of memory foam. The top 2.5 inches offer comfort while the bottom layers offer support. These layers work together to support all of the main pressure points while also providing a soft and comfortable sleep. It comes with a poly-cotton blend mattress cover that can easily be spot cleaned, as well as a 20-year manufacturer's limited warranty. The Sleep Innovations 12-Inch SureTemp Memory Foam Mattress also allows for adequate airflow, meaning the mattress does not retain heat easily and offers a more comfortable sleep. The DynastyMattress New Cool Breeze 12-Inch Gel Memory Foam Mattress comes in a variety of different sizes, including twin XL and California King. It offers 9 inches of support foam on the bottom and 3 inches Sleep Cool Technology Foam on top. This cool gel top means you never get too hot or cold while sleeping on your new memory foam mattress. The unique colors and 4-layer construction make this mattress as attractive to look at as it is to sleep on. It comes with a zippered, washable cover and two get pillows. 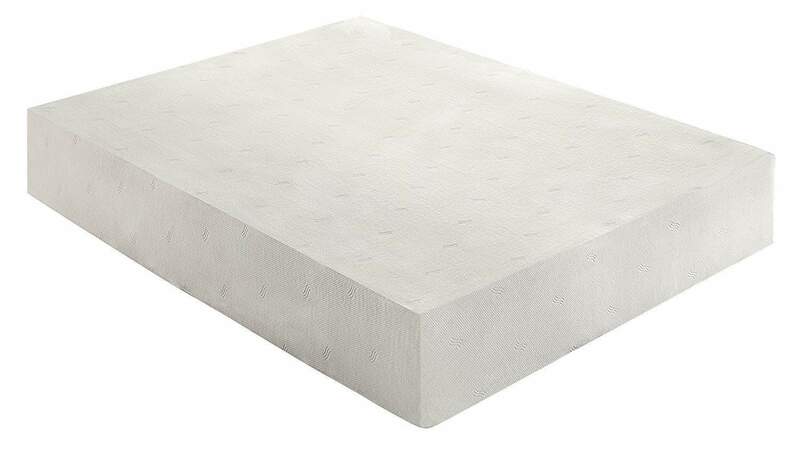 With three layers of 4lb density ventilated gel foam, the LUCID 12 Inch Gel Memory Foam Mattress. The gel memory foam is filled with tiny gel beads. Each beach captures heat and prevent it from coming through the surface of the mattress and disturbing your sleep. The mattress also comes with a 25-Year warranty, making it a pretty good choice if you want to really double down on your mattress investment. With this particular mattress, you’ll be pretty well-protected. 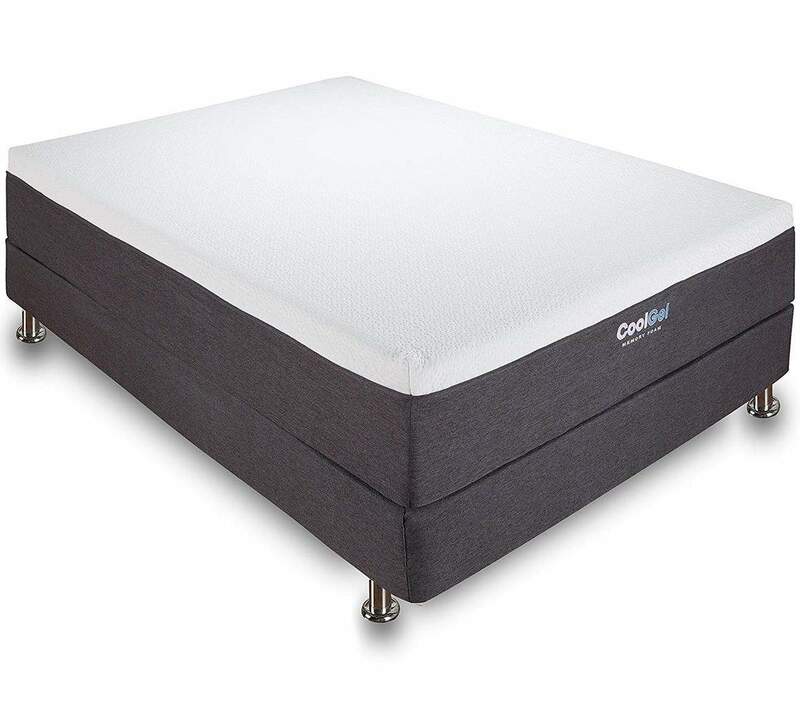 The Classic Brands Cool Gel 12 Inch Gel Memory Foam Mattress is an affordable and durable memory foam mattress that is available in all sizes. The Cool Gel memory foam layer sits on top of two HD gel-support foam layers, combining comfort with support. The optimum air flow abilities of this memory foam mattress help keep you cool and prevent heat from coming being distributed to the top layer of the mattress. The high-quality fabric makes this mattress easy to clean, and the Cool Gel Foam is CertiPUR-US Certified. This mattress also comes with a 25-Year manufacturer's warranty. Don't let a lumpy and uncomfortable mattress prevent you from getting a good night's sleep and feeling great during the day. Poor sleep can result in a bad mood, pain and discomfort throughout the day and an overall feeling of tiredness. Going without enough sleep for too long can also lower your immune system and make you more susceptible to illnesses. If you are struggling to sleep well at night and think your mattress could be to blame, it may be time to consider buying a new mattress. If you want a great combination of comfort and support, consider choosing a 12-inch memory foam mattress.